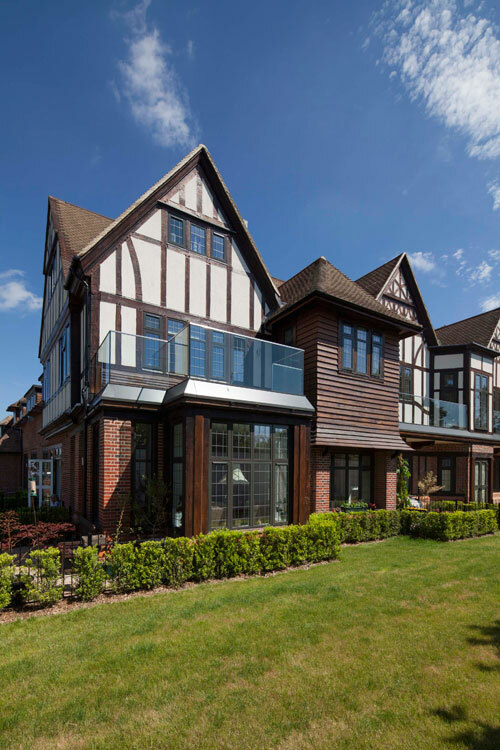 A new development in Orpington, Kent, by award-winning developer London Square, has been fitted with Kingspan Kooltherm K106 Cavity Board, helping to achieve external wall U-values of 0.16 W/m²K with a slim construction. 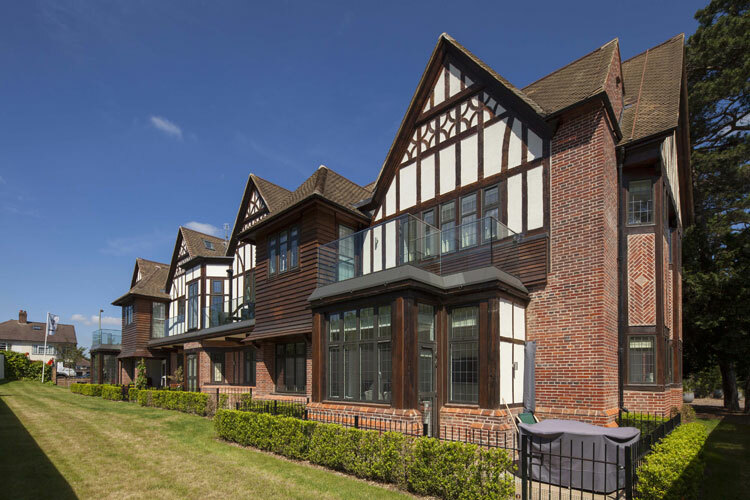 London Square Orpington, a gated development of 58 private three and four bedroom houses, is set in 6.3 acres of idyllic green space within easy commuting distance of the capital. 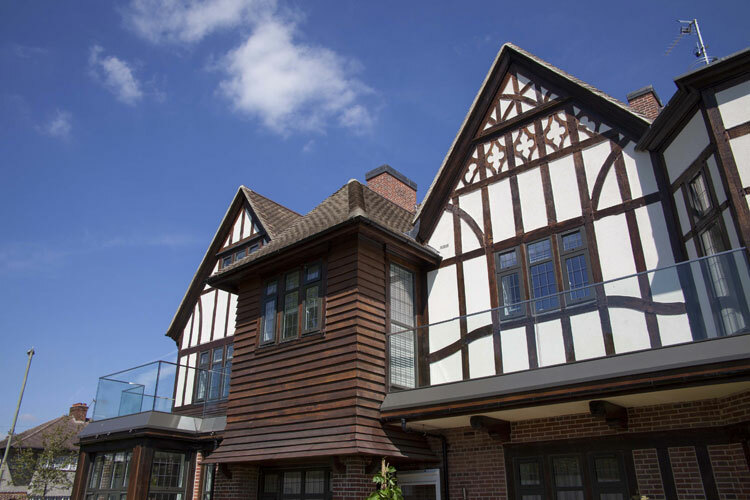 Inspiration for the design of the new properties has been taken from the traditional architecture of Bassetts House, a locally-listed mansion on the edge of the site which has been sensitively restored by London Square to become 32 private one and two bedroom apartments. 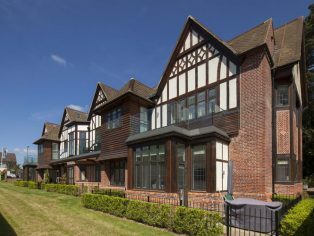 Whilst the external appearance of the new properties reflects the heritage of the site, internally they have been completed to the highest standards in contemporary living. To ensure the homes are energy efficient and warm, the project team sought to surpass the Building Regulations with a design strategy which placed an emphasis on passive measures. This led to the specification of 4700 m² of Kingspan Kooltherm K106 Cavity Board for the new-build elements of the estate. The product is part of Kingspan’s new K100 range of premium performance insulation boards which boast a thermal conductivity of just 0.18 W/m.K across all available board thicknesses. 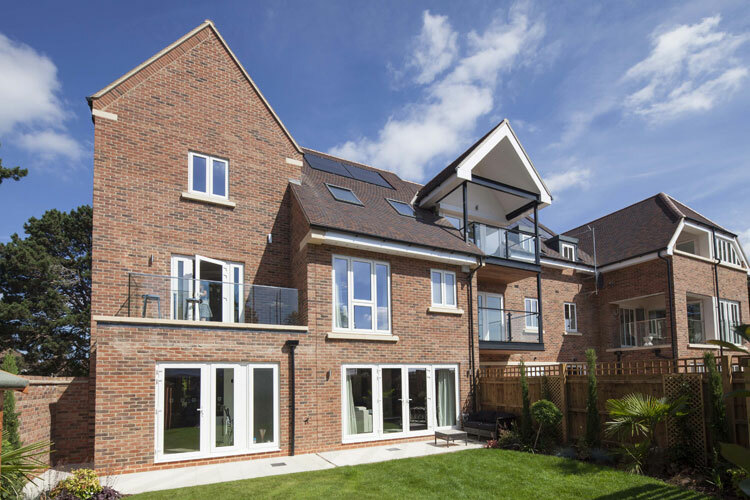 In addition to its inherently outstanding thermal performance, Kingspan Kooltherm K106 Cavity Board also features a water–tight, vapour–open polypropylene fleece outer facing which protects against moisture penetration. As a result, it can be installed with a void of just 10 mm, limiting the thickness of the external walls. In addition to delivering excellent thermal performance the buildings are also very airtight, with a design air permeability target of 3 m³/h/m² @ 50Pa for the flats and 5 m³/h/m² @ 50Pa for the houses. Mechanical Ventilation Heat Recovery systems are fitted in all the properties. The systems use the heat from outgoing stale air to warm incoming fresh air. This helps to maintain a comfortable internal environment and further reduces heating demand. A free BIM object for Kingspan Kooltherm K106 Cavity Board is available from both the Kingspan Insulation website and its popular online U-value calculator: www.uvalue-calculator.co.uk. Kingspan Kooltherm K106 Cavity Board produced at Kingspan Insulation’s Pembridge manufacturing facility is certified to BES 6001 (Framework Standard for the Responsible Sourcing of Construction Products) ‘Excellent’. London Square Bassetts House is now sold out. London Square Orpington launched in spring 2017, with a show apartment and show house now available to view.